First of all thank you to my wonderful future daughter-in-law, Miss Molly, for her modeling talents and my son for his keen photography for today's post. Molly is beautiful and young and energetic and generous. She glows! And I think she has one of the cutest profiles I've ever seen. Miss Molly has cast on for her own Baa-ble Hat and is using the following modifications. I'll share her version when it's done. Now for Baa-ble Hat knitting! I've knitted a couple of Baa-ble Hats by Donna Smith and I am planning on a couple more. I think they will make the cutest gifts for the holiday season ahead. It is too fun and fast to pass up. The pattern is written and designed by Donna Smith for the Shetland Wool Week. In order to get the FREE pattern you have to sign up for the Shetland Wool Week newsletter and then the newsletter is emailed directly to you. 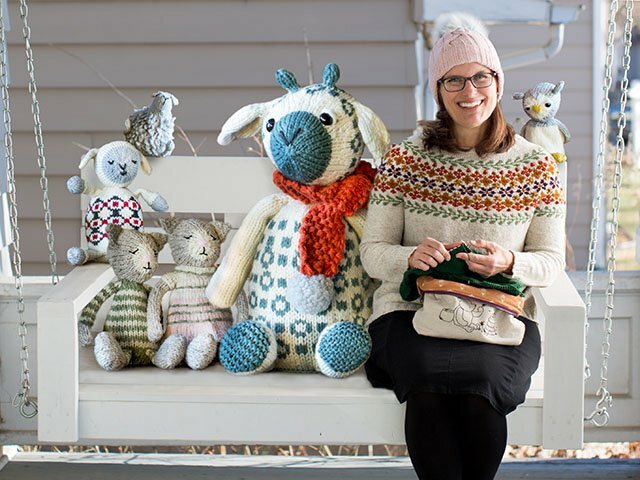 The newsletter contains the Baa-ble Hat pattern. If I remember correctly it took at least a couple of days to receive the email with the newsletter and pattern. Click here for the Baa-ble Hat information on Ravelry! Click here for the Shetland Wool Week newsletter and free pattern sign up! Click here for Donna Smith's Instagram feed! 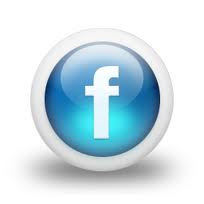 Click here to visit Donna Smith Designs beautiful website! 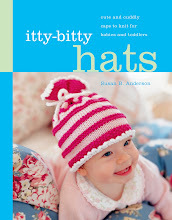 Click here to see the Baa-ble Hat Kits from Jamieson & Smith! I posted a couple of photos of my Baa-ble Hats on my Instagram and said that I made some modifications to the pattern that I will share here today. I've had people ask me about getting the free pattern. I guess some have had some trouble getting the pattern emailed and I'm not sure why. I do remember that there was a delay from the time I signed up to the time I received the email. Other than signing up on the Shetland Wool Week website, I don't know anything else about how to get the pattern. I've been getting emails from knitters about getting the pattern sent to them from me but I'm not distributing the pattern. You'll have to go through the website. I'm pretty sure if you're patient it will show up in your inbox. Also, check your spam folders to be sure it isn't in there waiting for you! If you go to the Baa-ble Hat Ravelry page to see and read the comments about the almost 800 hats that have been knit already one common issue is that the hat has turned out too big. The pattern is knit in an aran or worsted weight yarn at an unusually tight gauge, 5.75 sts per inch. The numbers in the pattern and this gauge do work out fine to give you a 20-inch circumference hat which is an average and good measurement for an adult-sized hat. My feeling or guess is that many may not be getting this dense gauge exactly and so the hats are turning out on the large side. I saw Martha Healy, goldybear on Ravelry, knitting several of these hats at the Maine Knitting Pipeline Retreat. I told her that I had that pattern waiting for me to cast on when I got home. Martha warned me that it was on the big side and that she had made modifications. Martha's hats were turning out so perfect and adorable that I took her modifications to heart. I give her the credit for coming up with these general modifications and then I added a few things of my own. 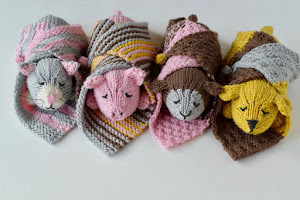 Click here to see Martha's three Baa-ble Hats on Instagram! Martha's hats are so cute and inspiring. Thank you, Martha, for sharing your modifications with me. Here is how I knit the Baa-ble Hat. You will still need the pattern to knit the hat! These are just tips and modifications. Note on gauge: I changed the gauge from the original pattern quite a bit! Achieving the correct gauge is very important for this hat. The fabric is supposed to be on the dense side, thus the smaller than normal needles on the aran weight yarn. Be sure to check your gauge. ~ With the US size 7 needles, I cast on 88 stitches and completed the rib as the pattern suggests. This will give you a long folded brim (cuffed) OR the long rib could be worn unfolded for a slouchy-style hat. You could make the rib section shorter (1 or 2-inches) if you don't want to cuff the brim and want a fitted hat. ~ On the first round of the chart I switched to the US size 8 needles and I increased 2 stitches for 90 stitches total. I just did a kfb in one stitch at the beginning of the round and a kfb in one stitch about half-way around. ~ The chart has 60 stitches. If you look closely the repeat is 30 stitches (I drew a line down the chart to keep track). I repeated the 30 stitch repeat three times. So I completed the chart once all the way across and then I repeated the first 30 stitches again. Since I had a different number of stitches I did a slightly different decrease sequence and I needed to continue the colorwork. I fudged around with the colorwork repeats and wrote it down for you if you are interested. Here is what I did using the top half of the hat color or the main color (MC) and the white flecks or the contrast color (CC). The decrease rounds in the pattern start on Round 26. Since I am not using the chart I am starting the Decrease Section numbering below with Round 1. Rnd 1: (K8, k2tog in MC) repeat to end. 81 sts. Rnd 2: (K2 in MC, k1 in CC) repeat to end. Rnd 3: (K7, k2tog in MC) repeat to end. 72 sts. Rnd 4: Knit in MC. Rnd 5: (K6, k2tog in MC) repeat to end. 63 sts. Rnd 6: (K2 in MC, k1 in CC, k3 in MC, k1 in CC) repeat to end. Rnd 7: (K5, k2tog in MC) repeat to end. 54 sts. Rnd 8: Knit in MC. Rnd 9: (K2 in MC, k1 in CC) repeat to end. Rnd 10: (K4, k2tog in MC) repeat to end. 45 sts. Rnd 11: Knit in MC. Rnd 12: (K4 in MC, k1 in CC) repeat to end. Cut CC and work in MC only to the end of the hat. Rnd 13: (K3, k2tog) repeat to end. 36 sts. Rnd 15: (K2, k2tog) repeat to end. 27 sts. Rnd 17: (K1, k2tog) repeat to end. 18 sts. Rnd 18: (K2tog) repeat to end. 9 sts. Cut the yarn and pull the end through the remaining stitches. For the pom-pom I used a Clover Large Pom Pom Maker (click here for information). If you don't have a pom pom maker use a cut piece of cardboard that is about 2 1/4-inches wide to get a similar size. I held two-strands of the top two hat colors together while wrapping the pom pom maker. I like to cram as many wraps as possible on the pom pom maker so it is super-full and round in the end. I can barely get the sides closed before cutting. One last point to make is about the floats which are the loose strands being carried across the inside of the hat. In the red and blue version I trapped the floats here and there and not often, in the sheep section. I did this because some of the floats cross maybe 12 stitches or something like that. The rule of thumb is to trap every 5 stitches or so. This is technically what you should do but since the sheep are white and the floats are red the places I trapped the float showed through a little bit on the right side of the fabric. It looks fine but it's just something I noticed, no one else would probably notice. I also think the traps showed through more because of the aran weight yarn which is a heavy weight for colorwork. 1. The second time I knit the hat I didn't do any trapping of the floats. In the sheep section of the chart, I would stick the tip of my pointer finger in between the stitches on the right needle and the long float going across the back of the work while I was knitting to ensure that the float was going to be loose enough to accommodate the long stretch of stitches. This appeared to have worked out well and I will do this again if (when) I make more of these hats. 2. Make sure when you are doing colorwork that your floats are not too tight. This is imperative. I have seen some hats where the sheep are looking puckered because the floats have been pulled too tightly. It won't block out if your floats are pulled too tight, unfortunately. I suggest the finger trick I mentioned above and also make sure that the stitches on the right needle are spread out as you work. This really helps. Really make a concerted effort while you are knitting to spread the stitches out so there is space in between the stitches on the right needle. 3. Another trick is to turn your knitting inside out and knit on the inside of the circular needle. The floats then have farther to go around the outside of your work. 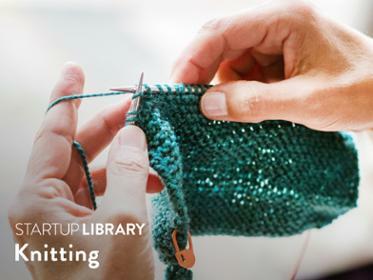 I generally don't do this technique because it feels strange to me to be knitting on the inside of the work, but I've seen others do it very successfully and it really does help. 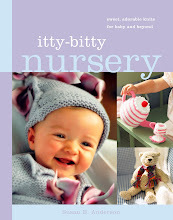 Okay, Knitters, I hope this helps if you are going to modify the amazing and fun Baa-ble Hat pattern. Donna Smith has really done a great job with this pattern. 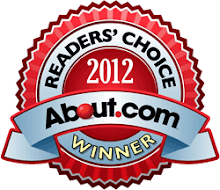 It is a huge runaway hit! I'm not able to field a lot of questions about this hat and besides it's Donna's wonderful pattern and design. This is all I've got for this one! If you have other questions about Donna Smith's beautiful hat design I'm sure she would answer you either on her Ravelry or Instagram accounts, or on her blog/website at Donna Smith Designs. 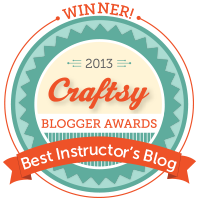 I will be back later this week with a huge Little Skein Luxe Kit giveaway worth $110! You won't want to miss it. I hope you are having a wonderful fall season, Knitters. I've made two of those Baa-ble hats so far and have yarn for more. My friend made one also and then used the chart to make mittens to match. Cute! So cute! Thanks for the mods. I also feel reassured that the pattern will show up eventually in my inbox eventually! I worried I didn't hit enter. Thank you for the mods. I've made one hat and it fits me fine but was loose on my daughter. I definitely want to make another one and will use your mods! Such a fun pattern! Wow, Susan, thank you for taking the time to share your tips with us! I love the colors you chose! Thank you for taking the time to post your modifications. Your hats turned out lovely. 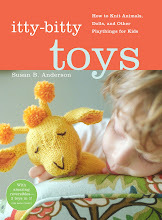 I was able to get the pattern through the website last week and it only took a day to show up in my mailbox. Thanks for your time to write down the mods. Certainly appreciate the help in some areas. I do have one question. Which increase method did you use? I love your hats and the pictures I have seen in Donna's Instagram! Soooo cute! I updated the post to include how I increased! Re: floats. There is another hat pattern on Ravelry " It's not about the hat" by Susan Rainey (lv2knit), that includes awesome tutorials, both written and video, for invisible stranding (combination of double knitting and stranding.) 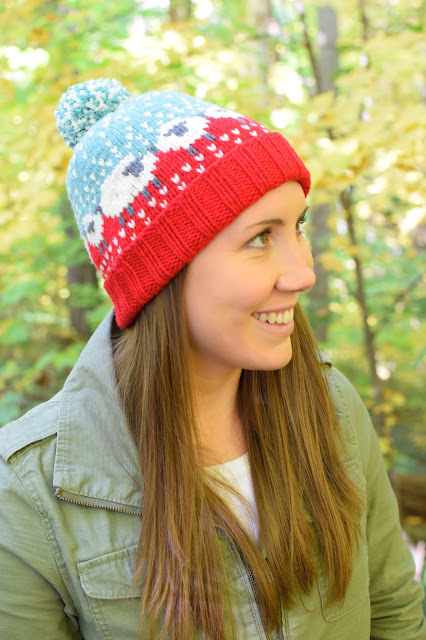 You can view an intro video to the technique without purchasing the pattern, but the technique is so great that the price of the pattern is totally worth it whether you make the hat or not. It's actually a pretty hat design with fleur de lys motifs knit in, shown in white with dark stranding behind it and the dark yarn is not visible at all. Baa-Ble is on my list of things to make, and it sounds like a perfect candidate for invisible stranding. 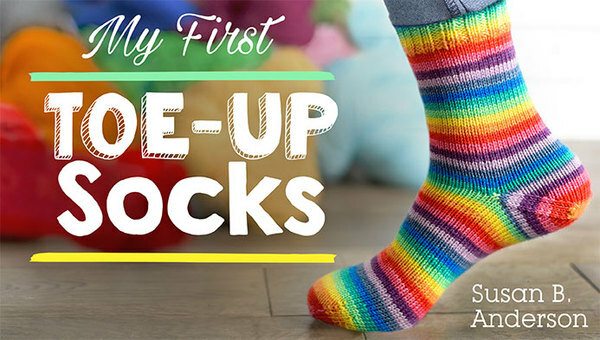 I am currently using the technique for the first time on Christmas Stockings and am amazed and thrilled not to have puckers and peek-a-boos from traditional stranding. To cast on this weekend with these modifications. I'm grateful for your notes and inspiration. Thank you! Thanks Susan for sharing your modifications. It's a cute hat and now on my to do list. Thank you Susan for the modifications and tips. This is a really cute hat pattern. I was able to get my copy easily. 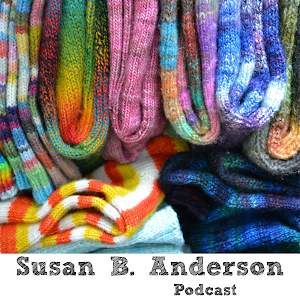 I'll be putting your notes and tips with the pattern together for winter knitting. I'm waiting for some yarn to arrive (sheep colors) and am going to attempt this hat. It'll be my first colorwork attempt and I am thankful for your notes! 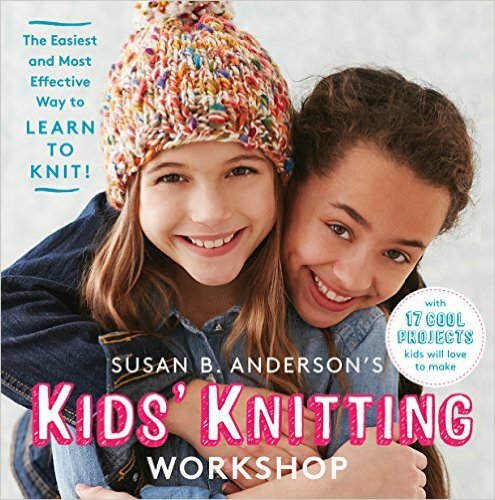 Thanks Susan ...I signed up and got the pattern immediately!! such a cute hat. Thanks for sharing! I thought I had the pattern in my Ravelry library, but I just added it without checking if it was a Ravelry pattern! Glad I checked that out. I signed up for the newsletter and received an email with a link to the pattern within minutes. Next I saved copies to my PDF reader and OneDrive. Hopefully I can cast one on soon! I think it would be fun in some Wisconsin sports team colors! Hope you are enjoying our Indian summer! 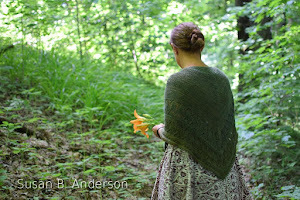 This shawl is amazing! 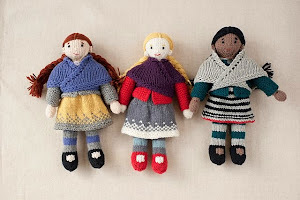 The pattern is beautiful, the yarn looks scrumptious, and the colors are stunning. Thanks so much for the opportunity to win a kit! Thank you so much for sharing this fantastic hat pattern - so colorful and pretty I can't wait to try one! I am baffled. How does using a larger needle and casting on more stitches give you a smaller hat? 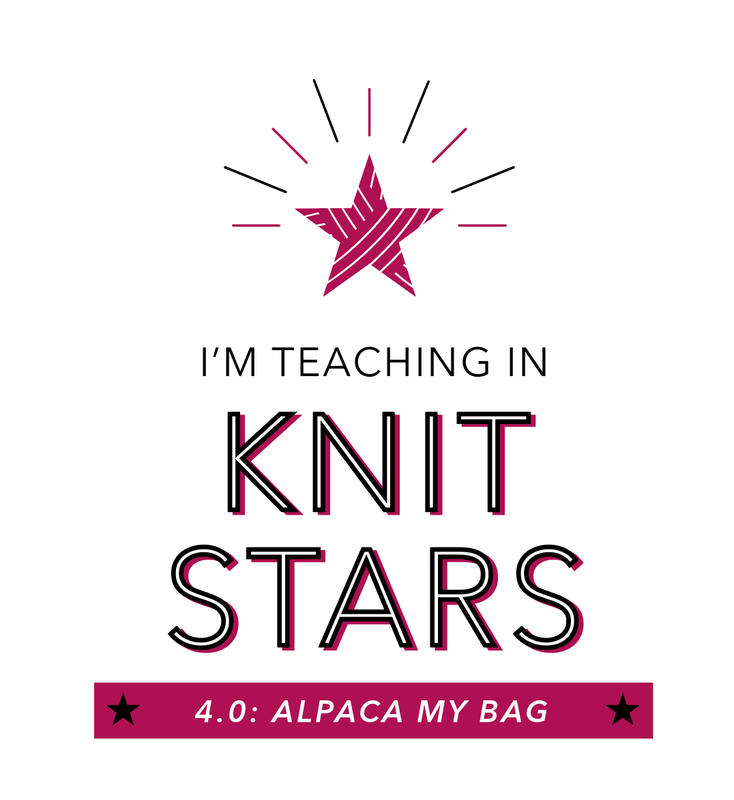 I'm a new knitter. Please explain. Thank you. Hi! The original pattern has you cast on 96 sts. Here you are casting on 88 sts. Also, the original pattern has you increase to 120 sts for the body of the hat, where my mods have you increase to 90 sts for the body of the hat. If I may ask, which is the last row of the chart that I would have to complete before starting the decreases? I'm making my hat following your changes to the pattern. I began the decreases after completing row 25 of the chart. However, my white flecks seem to be lining up on top of each other. I hope I make sense, I am a new knitter, thanks!! I can't even remember the round number, however, I do remember that it is the same as the original chart. Thank you for posting this! I just followed your mods and I am delighted with the results! I sure hope I can a class from you sometime. I have all of your books and I am so inspired by everything you knit! Not sure if you will ever see this or respond but I wanted to know where do you see the 60 stitches? I printed the Free pattern from Ravelry. Not sure if it is the correct one or not. I hope with your modifications and yarn the Hat fits me. I like my Hats to fit me me snug. The chart that is with the free pattern has 60 stitches as the repeat. If you use my mods, you will have 90 stitches. Do the 60 stitch repeat and then do the first 30 stitches again to get 90 stitches. Just finished a hat, but I had modified it to 68 stitches and adapted pattern. It would prob fit a 1 year old. I need hats to fit a 2 and 4 year old, do will try again. I had 96 on my needles, but could see it was coming too big. I decided to use Berroco Comfort for them as it's nice and soft. I'll keep trying, love this hat. I had put ear flaps on the first one, as someone else changed to that also. It's cute that way to. Funny yo find do many blogś around on this hat! Gosh, thank you so much Susan. I haven't done my Baa-able yet, but these notes will surely be very helpful. Thank you, Susan. Like so many of us, I love this hat! I had started it and saw that it was going to be too big, and then saw your modifications. I have a small head and was going to try to adapt the pattern but thanks to you didn't have to.I'm at gauge but using a different yarn, and might have to change the decreases, since it's too "long" for my head. (Since someone commented that it fits her 5 year-old, I'm feeling shrimpy). What I'm trying for a temporary fix to see how it works and looks (and I can wear it when it gets cold in a couple of days) is tying a couple of lengths of yarn around the top about 10 rows down from the end. It makes its own "pom pom." Your instructions are clear and perfect. Thank you for taking the time to do this! Thanks for your great tutorial! 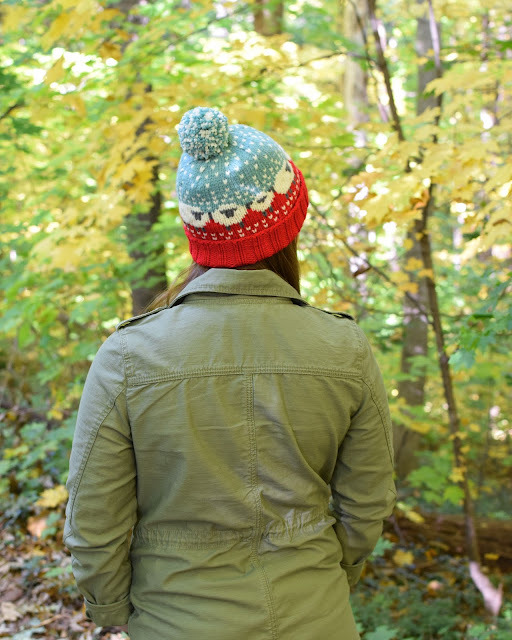 I made a Baa-able hat last fall before I saw this and it turned out kind of too big. I used Paton's Classic Worsted and I used a 3.5 mm for the brim because I am a. it of a loose knitter but it still really stretched immediately. When it came to the body of the hat I was so worried about getting puckers ( My last attempt at fair isle turned put very badly) that I focused on keeping the stitiches so stretched it turned out really big. I've been planning on trying another in either the dk weight or using even smaller needles and trying to improve my technique. Now I may try using your mods. 88 stitches is the amount I nrmally cast on for my own slightly small to normal sized head for a hat at 4.5 stitches per inch. 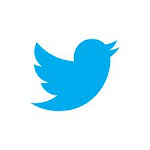 I've tried to find any advice on the internet but haven't come across anything. I've knit 4 baable hats following your modifications - each going up a size as I found they were too small for an adult. Anything else I can do to solve this problem? Thanks so much to anyone for the advicde!